A prominent member of the Russian dissident movement, who left the Soviet Union in 1976 and lives in Cambridge, Vladimir Bukovsky is now facing charges in Britain of creating and possessing indecent images of children. “Following an investigation by Cambridgeshire police, we have concluded that there is sufficient evidence and it is in the public interest to prosecute Vladimir Bukovsky in relation to the alleged making and possessing of indecent images of children,” Crown Prosecution Service Chief for the East of England Jenny Hopkins said. She did not elaborate further, apart from saying Bukovsky is facing five counts of making and five counts of possessing such images. He allegedly committed the crimes before October 28, 2014. Bukovsky has now been summoned to the Cambridge magistrates court on May 5 to answer to the charges. Under the 1978 Children Act, Bukovsky could serve up to 10 years in prison, however in less-severe cases offenders can be sentenced to community service. 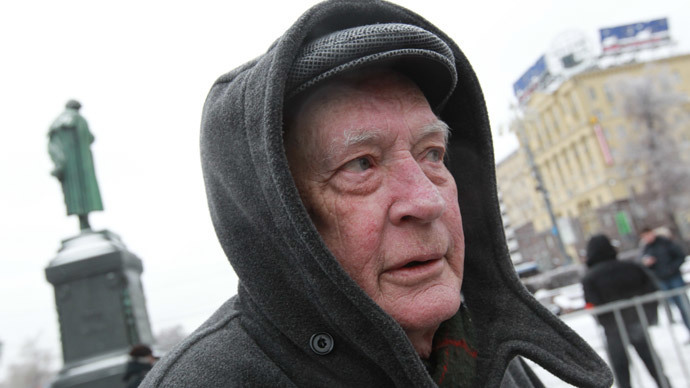 72-year-old Bukovsky told British media it was the first time he ever heard of any such suspicions against him. “I categorically deny making any indecent or prohibited photographs, pseudo-photographs or videos of children. Indeed, I had no contact with any children whatsoever for very many years,” he told the BBC. Writer and political activist Vladimir Bukovsky was a prominent member of the dissident movement, exposing the Soviet leadership’s use of psychiatric wards to hold political prisoners. In 1972, he was sentenced to two years in jail and five years in exile. In 1976 the Soviet leadership exchanged him for the Communist leader Luis Corvalan imprisoned in Chile, allowing Bukovsky to leave the USSR and eventually settle in the UK.